I thought I had suppressed the memory. 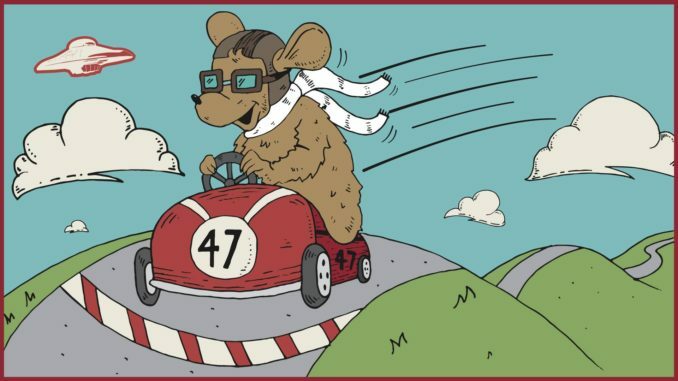 I thought I buried it deep within the micro-depths of my subconscious mind, only to have it shoot straight to the top of my brain after receiving an email that mentioned those three words – Pinewood Derby Race. Why would a Cub Scout event, beloved by millions, be the cause of my first real childhood anxiety attack? Because for me, the memory of the Pinewood Derby at Spoede School in 1978 was the real life equivalent of that dream we all have of having a college exam for a class you didn’t attend all semester. That block of wood sat there for weeks, right up till the night before the race. I literally waited till the last day. Hopelessly I sanded that block, only making it rougher and with even sharper edges. 15 minutes later, I gave up, (Hogan’s Heroes was on Channel 11), so I just glued the axles on and showed up with a solid rectangle with wheels. It was a nightmare. Now 39 years later, all these fabulous memories have flooded back, because the Pinewood Derby is back. Though this time, it’s a race more my speed. Brewery versus brewery and beer drinker versus beer drinker. This is a race I can appreciate. This Friday, March 31st, the Flying Saucer St. Louis and Deschutes Brewery are teaming up to host a”Pint”wood Derby Race, benefitting local charity Pedal The Cause. The event will be a bracket style tournament in which the winners from both categories will face off at the end. The six local breweries participating are 4 Hands, Civil Life, 2nd Shift, Urban Chestnut, Logboat and Modern, and the six national breweries participating are Deschutes, Firestone Walker, Odell, Oskar Blues, Sierra Nevada and Tallgrass. You’ll have the opportunity to purchase your car kit ($20 gets you the kit, your first Deschutes Brewery beer, and the rest goes to Pedal the Cause). You’ll also have the opportunity to use provided tools and materials to build and customize the hell out of your car and talk some trash to your fellow competitors. – An additional wooden nickel good for a 2nd Deschutes pint the night of the Derby (Friday, March 31st). It takes roughly an hour to make your car race ready — but you can spend as much time as you need. Go above and beyond.